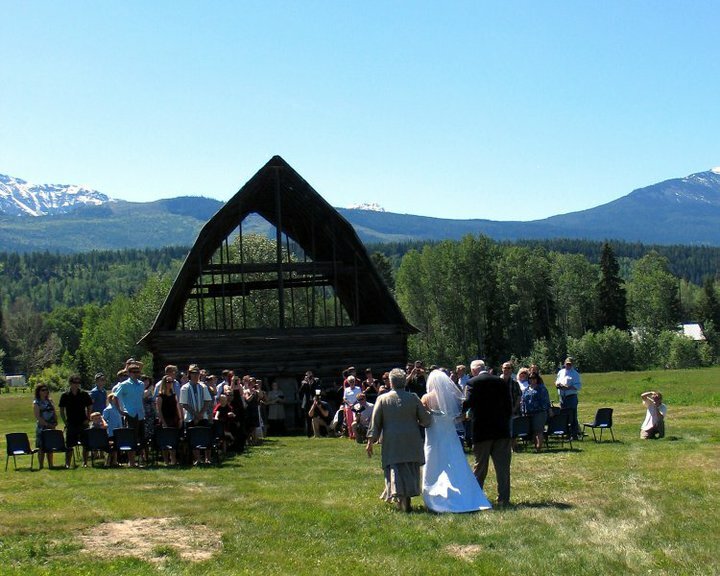 We're planning on hiring a DJ for the wedding that can handle dinner music as well as party music afterwards. We're still on the hunt for this - but hoping we can find someone for under $1,000. Originally we were budgeting about $600 but it looks like we'll have to bring someone into my hometown and will likely have to pay one nights accommodation for them. We still need to figure out if we'll have any music during the ceremony and then our first dance song. What did you guys do for your music during the ceremony? 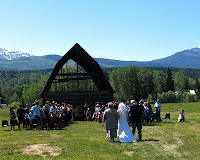 There are two options for ceremonhy location at our venue. 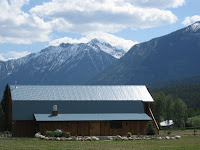 One is at the old barn where there is little or no access to electricity (unless we used extension cords) - and the other option is on the North facing side of the venue where they have a nice stone feature wall. My preference is the barn - but this may impact our music options. The other thing is our first song....here's a song that Jordan found that he really loved! I think it's pretty great too - but I thought I would put it out there and ask you for suggestions too. I can't find lyrics written out to this exact version of the song and it looks like from googling the lyrics there is more than one....I like the one specifically in this You Tube video - but so far haven't been able to hear each and every word - so I'm open to hearing your thoughts. One of the decisions that Jordan and I made early on was how we wanted to handle the liquor at the wedding. We are going to have a bottle of red and white (Copper Moon) on each dinner table and a single bottle of champagne (Segura Viudas Brut - maybe) for toasts. So there will be lots of free drinks for supper. 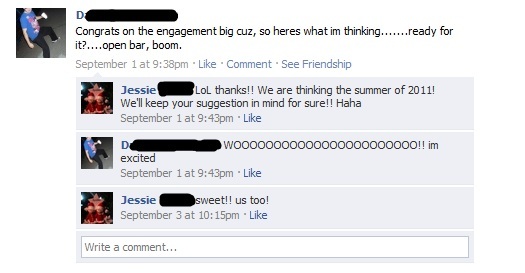 We talked about having an open bar, but after this conversation with my cousin on Facebook, we decided to go with a twoonie bar. Having every drink available for $2 will pay for the cost of the liquor. We will still need to subsidize juice, pop and ice for the bar - but we're guessing (based on an invite list of 150 with about 120 of those that actually drink) that it will cost about $250. I'm wondering though - if anyone reading this has either hosted a wedding or a party as big as this has some advise on running the bar. I'm not sure what and how many types of mix we need and what core alcohols we need (keeping in mind any booze this is un-opened, we can return). The other debate is whether we should ask the bartender to deal with all the money (and then give us the cash less their tips at the end of the night) or ask someone else to handle selling drink tickets and then the bartender only has to deal with their tips. My Aunt has volunteered to sell drink tickets but I think we'd need at least two people doing this. I like the drink ticket idea because then, if we wanted, we could give our attendents a few free drinks on us relatively easily. So - what are your thoughts? Now that Christmas is over, my train of thought it changing to full-swing wedding planning. We got a few key items sorted out after we got engaged but then all things wedding came to a halt mid-November when we started gearing up for Christmas. According to this Easy Wedding Planning Plus Guide that my Maid of Honour bought me there's certain things you need to have done in order before the wedding - as it turns out we're right on track for the 'get this stuff done before 9 months before the wedding'. We've even got some things done ahead of the books schedule. we did an engagement photo session and got all of our pictures over Christmas - we chose our favorite ten which will get the final high resolution copies of in the next couple of weeks and we'll get all 91 of them after the new year. After all that's sorted we can thinking about the things we need to do 6-8 weeks before like getting our marriage license. I won't list the other stuff out yet because we have a whole load of other things to think about first. I can't get into the nitty gritty details of Christmas spending, because far too many people that I bought for read (or have the potential to read) this blog. We have made a few payments already including mom & dad paying me for the gifts I bought on their behalf's as well as just a regular payment. 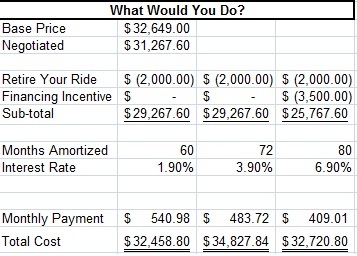 Unfortunately this is just what's currently owing, our total bill from November was due on December 26, 2010 and was for $5712.44 - as Macl1in hasn't reimbursed our $2,000 deposit for the Retire Your Ride Program, we weren't able to make the deadline. 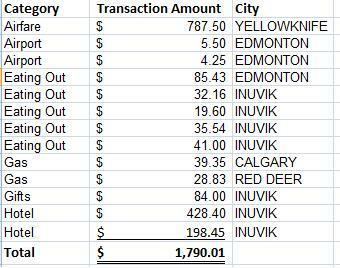 We needed to make another $915 payment in order to avoid interest penalties. So, to compound all this - we still need to buy groceries and gas for the rest of January. We have eliminated our house, wedding and allowances for January - and we will only have $310 from now until January 5th. It's going to be tight. .....in our house-fund. We're half-way to a respectable down payment! It's been a while since I've had a roommate rant post, so after yesterdays events - I thought it was time. We have had quite a few trials with one of our roommates lately it seems, at least twice a month, mid-week - we get phone calls from neighbors complaining about loud music during the day. Further to that, we often get woken up in the middle of the night with music or friends coming home from the bars (mid-week). Yesterday was the breaking point when I got called at work with a complaint! We've had a few conversations with this roommate already about his general lack of respect for our space, our things and our home - and he's brought us far to close to potential eviction with all his nonsense. So, we've asked him to find another place to live. He has until January 30 to have all of his things removed. Not that he has that many things - this is the roommate that was renting a fully furnished bedroom. I'm concerned because we know that there is a whole in the closet wall and he's moved huge TV's up and down the stairs so many times there's quite a few hits and dings. I would like to give him back his damage deposit - but it's all going to have to be puttied and cleaned otherwise, it'll be a no-go. Thankfully, he pays he rent in advance so he's already paid January's rent. He'll owe us fro December's and January's utilities - but there's never been any problems with paying, so I hope there's no problems in that area now. So, Jordan and I have a choice to make. The kicker is that we want to save as much as possible between now and the wedding, when we want to be out on our own. An extra six months of roommate hell = $3,000....which is why we've kept this guy around so long. But our sanity and the potential for eviction just isn't worth it (neither are the fights between Jordan and I). Not that they are plentiful, but the situation add's irritation to a lot of otherwise normal conversations and we wind up getting itchy with each other. I'm partial to continuing to save like mad for the wedding, and dropping the house savings down a bit and just enjoy less roommates. We might not be in a house as fast as we'd like, but really it's not the end of the world of we rent for a while longer. Like most years, I wish that Jordan and I had put away more than we did for Christmas. I won't have final numbers until the middle of next week or so - but it's looking a little rough that's for sure. Are you in the same boat that we are, or are you pretty good at forecasting how much you'll spend at Christmas? I'm not just talking gifts - but we donate more, drive more, drink more and socialize wayyy more this time of year then any other time of the year. 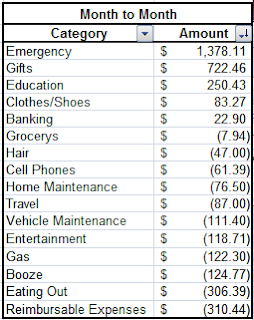 I'm thinking next year we'll aim to save $1,500 or so to pad the December budget instead of the about $600 we had (the goal was $1,000 but with a few emergencies along the way that didn't exactly work out). Other than the Christmas budget, things are really coming along smoothly. This is my last couple of days at work before I have a week and a bit off - so really looking forward to having a break. Jordan and I have the same week off in between Christmas and New Years which is a nice change. We have a potluck at work today which I'm looking forward too - i brought hummus :D yum! and I'm sick! I have a horrible cold that has been chasing me all week. It's caught up with me and I feel positively ill. I'm pleased that our Christmas shopping is done already or I'm afraid I just wouldn't have the energy. Our goals have changed so much (and so frequently) this year that I'm not going to do a 2010 goal recap post as so many people are right now. Instead, we're just continuing to work towards our goals - and in January/February we should be able to really hash out exactly what we need for what goal - and make it happen in 2011! I just deposited $500 into each of our top priority goals right now: Wedding Fund, House Fund and Emergency Fund! Our status bars while not at the 100% mark look pretty healthy - which is a pretty fabulous feeling! The first step to replenishing our emergency fund went smoothly. Jordan's two year secured credit card was released of it's 'security' at the end of November. We transferred that $500 directly to ING and we're well on our way to having a stash of cash. This need to rebuild our emergency fund quickly goes back to the peace of mind I wrote about in my doing it all post last week. I found out that I'll be getting a Profit Sharing/Christmas Bonus of $775 (less taxes). That will be deposited on my December 10, 2010 pay - so we'll do a swift transfer of that money into the Efund as well. That should bring us to about $1,000 by the end of the year. In the new year, we'll add any tax refunds we get (which there will be some from RRSP contributions and Jordan's school expenses) as well as Jordan's beneficiary cheque (I'll explain more on that when it comes in). I'm hoping that by...say April - we've got our $2,500. It feels like a long time to wait for peace of mind - but it'll be worth it once we have it straightened out. I came accross an article in The Globe and Mail who published on October 28, 2010, that discusses upcoming changes to the Canada Pension Plan (CPP). I hadn't heard of any changes, so I started digging. Before I share what I've learned, for my non-Canadian readers, The Government of Canada established the CPP program in 1966. It is an earnings related social insurance program that provides basic benefits when a contributor to the plan (someone who is employed in Canada) retires or becomes disabled. When contributors die, the Plan provides benefits to their survivors. A CPP retirement pension is a monthly benefit paid to people who have contributed to the Canada Pension Plan. The pension is designed to replace about 25% of a person's earnings from employment, up to a maximum amount. Commencing in January 2011, Canadians are about to see some significant changes to the Canada Pension Plan (CPP). If you are under 65 and you work while receiving your CPP retirement pension, you and your employer will have to continue making CPP contributions. (or if you work outside of Quebec while receiving a QPP retirement pension) These contributions will increase your CPP benefits. If you are between the ages of 65 and 70 and you work while receiving your CPP retirement pension, you can choose to continue making CPP contributions. (or if you work outside of Quebec while receiving a QPP retirement pension)These contributions will increase your CPP benefits. The government website states that these changes will improve retirement flexibility for working individuals in Canada, enhance pension coverage, and improve equity in the CPP. Have you heard of these changes? What do you think of them? I think it's fantastic that you can continue working past age 65 (up to age 70) and continue contributing to CPP (with your employer contributing at the same time). Here it is again, our monthly spend report. I'm really enjoying the process of categorizing and tracking all of our spending via our master card. It makes it easier then writing everything down every day (though we are trying that for any cash expenditures). I am pretty pleased with the majority of these categories. 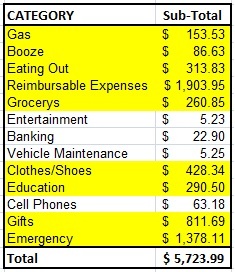 As you know, last month we recognized that we were spending a lot of money on Booze & Eating out - this last month we spent wayyyy less in these categories. There's obviously still some work to do in the eating out category - but this is good work as far as I'm concerned. 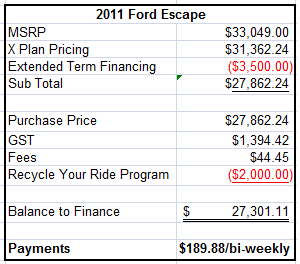 The reimbursables this month include Christmas shopping for family and a $1,000 deposit to hold the new Escape. This will be refunded in a couple of days when the Retire Your Ride approval comes through. We're still low on grocery's, but as we eat out less this number will go up. I bought a pile of new work clothes, but this was from birthday money and allowance money that I've been saving up - this was not against our joint expenses. Education is high because I registered for my first CHRP exam! Gifts is high (hello Christmas!) but we had savings for the majority of this spending and we're almost done our shopping. Finally, you all know about our family emergency in November - we had some money stashed but not enough to pay for the whole trip up North. For a bit more perspective on our spending, I wanted to show you this month to month image. In 16 categories of spending, we spent less in 11 of them from October to November! Since we had money saved up for Emergencies, gifts, education and clothes - this is fantastic! The banking was for when we ordered our credit reports online - wasn't sure what category to put that under. ...you need to make a good choice. Now, I've always had winters and I rotate every change of season (winter-summer), it's also a good time to get your oil change and any other basic maintenance done. In the long run this type of maintenance can save you big bucks. We'll be losing the car for the Escape on Saturday, and so we need to address the tires right away. When searching online or in a store you need to take care to LOOK at the tire - not just listen to the salesman trying to tell you what's best. Look for The Snowflake (point one below is the snowflake). This tells you that the tire has been rated for cold/snow/ice. 60 is the “aspect ratio.” It’s the percentage ratio of the height of the sidewall to the width. 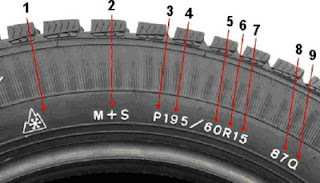 R means the tire has radial construction. This speaks to how efficiently moisture is wicked away from the tire allowing posting contact with rubber to road. The better the tire is at wicking the moisture, the more tracking you will maintain. Siping is a process of cutting thin slits across a rubber surface to improve traction in wet or icy conditions. 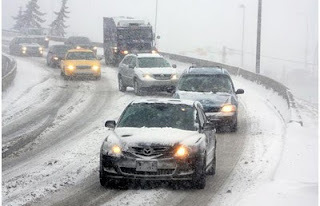 On roads covered with snow, ice, mud, and water, sipes usually increase traction. The rubber tire has greater flexibility because of the slits. This is how Jordan explained it to me. Pick something up....go ahead....I'll wait. Softer rubber is better in the winter because it molds itself to the ice and snow, thus providing better traction (this also helps the Sipes mentioned above). Winter rated tires have a more flexible compound (are softer) which hander the lower tempatures better than an all season or summer tire does. So there you have it - they key elements (as Jordan and I see it) to selecting your tires. 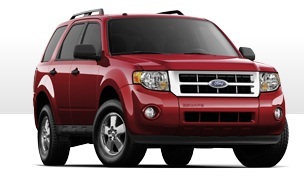 So, what tires are Jordan and I going to buy for the new 2011 Ford Escape? 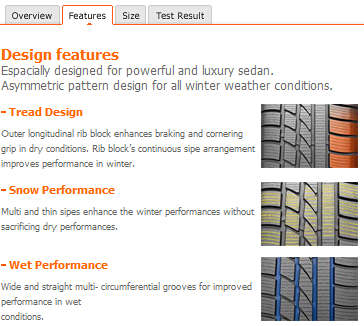 We chose the Michelin-Latitude® X-Ice® Xi2. The base price of these at Costco is $200 installed. What are we going to pay...$177 - installed. Please know that you can negotiate tires like you negotiate for a new vehicle. You don't have to pay the MSRP...we sure won't. 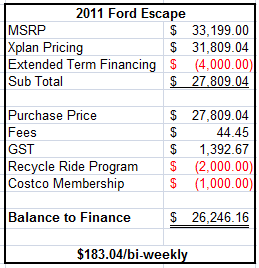 So the 2011 Ford Escape that we were meant to buy - was sold! How frustrating! Luckily, the found a very similar model that had all the same features we wanted plus a remote starter (which we wanted but had cut previously when looking at numbers). Further to that, now that it's December instead of November there are different promotions going on. We still have Jordan's Xplan pricing, but the extended term financing is $4,000 instead of $3,500 (which pays for the remote start). We can also now get another $1,000 off for having a Costco membership. All of that, combined with 1000 bonus Air Miles - makes me a happy camper. We are losing out on the Winter Tire package - but Jordan can find those for a better deal anyway (and we won't have to finance them). My detailed networth update can be found here, or you can follow the link from the badge below. I addded Jordan's retirement savings to my own - as the vehicle debt is ours jointly. The vehicle is also listed as an asset, it will depreciate as time goes on (and the loan is paid off). Cash includes all planned spending savings accounts as well as emergency fund and wedding fund. Our cash for a down payment on a house in the 'house' section of assets.